Everyone needs an easy and irresistible cookie bars recipe in their back pocket, dontcha think? Because a pan of chewy Monster Cookie Bars could not be more perfect for a picnic at the park, a backyard bbq, or a neighborhood block party. 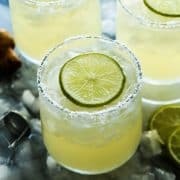 They’re super quick to make (yay for you! ), and are always a hit (yay for them!). I was so happy when I got the email reply from Blake’s cousin, Melanie, and she shared her awesome recipe for these bars. When I first ate one from her pan earlier this year, there was no way I was leaving the room until I had one (or was it two?!) more. 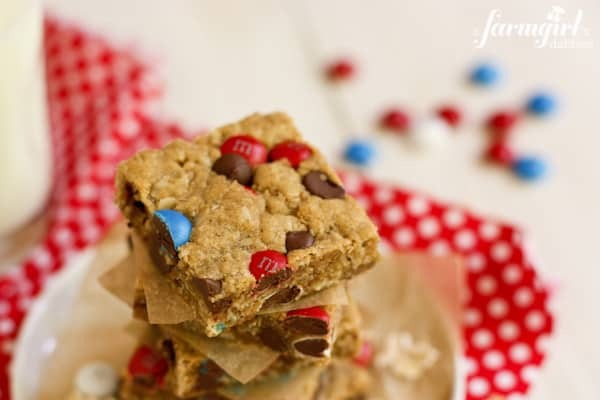 Melanie’s monster cookie bars are perfect. 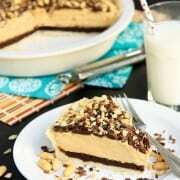 They’re chewy and moist, with just the right amount of peanut butter and oats. And if the recipe looks like it calls for too much chocolate chips and M&M’s (Don’t look at me, I would never think such a thing. Ahem. ), just trust me and do what the recipe says. Because all that delicious chocolate is right where it’s supposed to be. Melanie’s bars were made with the regular colored M&M’s. But I wanted to add a little 4th of July fun to her recipe for the upcoming holiday. 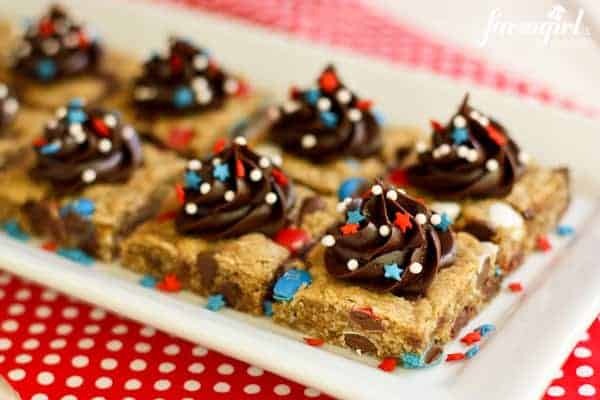 With a bag of holiday red, white, and blue M&M’s, plus a swirl of fudgy frosting and a scattering of patriotic sprinkles…well, I had myself a pan of eye catching cookie bars, ready for the fireworks! But I realize that not every occasion calls for getting out the pastry bags and tips, and that sometimes a person just wants to turn out something fabulous, without the fancy. That’s where the beauty of this recipe comes in. It’s super easy to play up the 4th of July by only incorporating the holiday M&M’s. The cookie bars are showy enough, without getting all crazy with frosting and sprinkles. Tell me…what would you make? The plain cookie bars or the fancied up ones?! Preheat oven to 350°. Butter a 12” x 17” jelly roll pan with 1 tablespoon of the butter. Set aside. In the bowl of a stand mixer, cream together remaining 1/2 c. butter, peanut butter, brown sugar, and sugar. Add eggs and vanilla and mix until incorporated. Add flour, oats, baking soda, and salt, and mix again until incorporated. Then, with a spatula (and plenty of arm strength! ), fold in the chocolate chips and M&M’s. 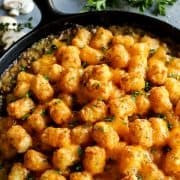 Press into prepared pan and bake for 14 to 15 minutes. These bars are meant to be chewy, do not over bake! Cool completely on wire rack, then cut into bars. 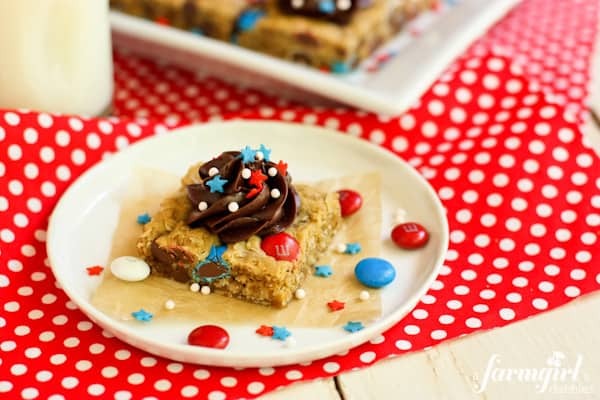 These bars are fabulous just the way they are, but if you want to add a little more festivity for the 4th of July, try adding chocolate frosting and sprinkles! I simply used a can of fudge frosting that I picked up in the baking aisle. Place frosting in a pastry bag fitted with a medium star tip and swirl the frosting onto the top of each bar. Add some red, white, and blue sprinkles, and you’re set! Adapted from the recipe box of Blake’s cousin, Melanie Sorenson. 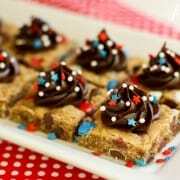 These are the prettiest cookie bars, just perfect for the 4th! all cool.. Thanks for sharing. This looks so yummy! But, I’m allergic to peanut butter. Do you think almond butter could work in place of it? I made your cookie bars for the Fourth and they were so good! check out my fourth of July post on my blog! I made these for Memorial Day. Huge hit! Loved how chewy they were. A+! 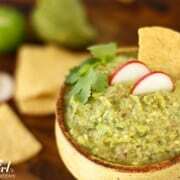 Oh my… I just found your website and I already love it… You have so many recipes that my children will eat it! That’s wonderful, so nice to meet you!! Monster cookies are my favorite. I love the bar take here. These look perfect Brenda! Any recommendations for adpating to a different baking dish? Do you think they will work well in a 9×13 pan? Hi Rachel! I’m sure this would work in a 9×13, but it will be thicker and need a longer baking time. You could also try reducing the ingredients, to get a thinner bar as shown. I absolutely love these! 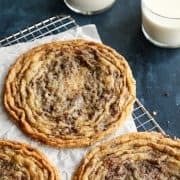 I’ve always preferred a bar cookie to all that fiddly rolling, slicing, and messing around with other kinds. 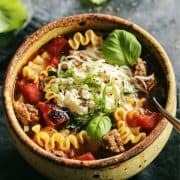 So easy and so delicious. The texture of these looks dreamy, Brenda! Thanks for these bars that you left in our freezer. Dad and I devoured them. Yum!! so festive and fun!!! I could go for a dozen or so. Monster cookies are my favorite! Love that I can save some time and make them into bars! Have a wonderful 4th of July celebration! Thank you, Paula! I love how festive they are, with alot less work than most frosted desserts! Such a simply dessert all gussied up with the frosting and sprinkles! I would definitely make the frosting version. It looks like you spent hours making them but really so easy to make.. Dessert for the 4th solved! Thank you for sharing this! You are so right – it really didn’t take very long to whip these out. Enjoy! I love the decorated version! So fun! My guys would be standing in line to get their hands on one of these! Mmm this looks soooo lovely! I love these. I can never find the patriotic M&M’s. Think I’m going to have to order online! Dang! Sorry to hear that. I’ve been seeing them all over the place. Such an easy way to add red, white, and blue! I think I would make 1/2 festive and 1/2 without the frosting and sprinkles. That way everyone can choice them their way. 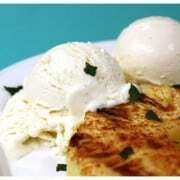 :-) I just printed this recipe out to take to our 4th of July party. Oh mercy! This are too cute! 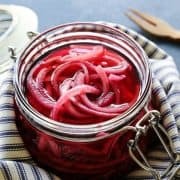 I definitely can’t wait to make a batch! 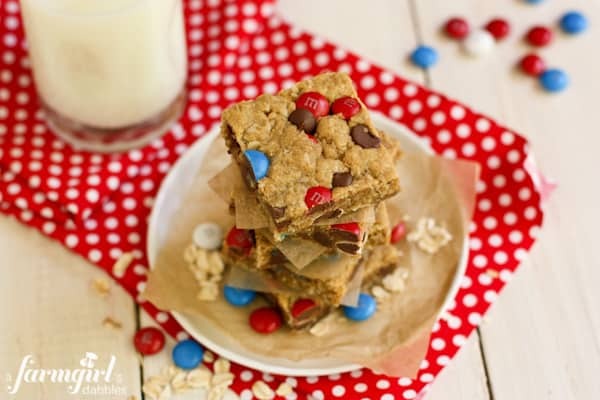 These bars look so tasty, and perfect for the fourth! What an awesome, delicious looking dessert for the Fourth! I bet these are so scrumptious! I really miss getting to play with seasonal m&ms! Your frosting is perfect! The fancied up and unfancied up versions both look AMAZING! But I’m a frosting girl so I’d probably go with the former. :) So yum!